neuvers in the F6 Hellcat, the F8 Bearcat and the F9 Panther. During the 1950’s, we refined our demonstration with aerobatic maneuvers in the F9 Cougar and F-11 Tiger and introduced the first six-plane delta formation, still flown to this day. By the end of the 1960’s, we were flying the F-4 Phantom, the only two seat aircraft flown by the delta formation. In 1974, we transitioned to the A-4 Skyhawk, a smaller and lighter aircraft with a tighter turning radius allowing for a more dynamic flight demonstration. In 1986, we celebrated our 40th Anniversary by unveiling the Boeing F/A-18 Hornet, which we still fly to this day. The F-16 Viper teams up with Air Force Heritage P-51 Mustang flighter aircraft exhibiting the professional qualities the Air Force develops in the people who fly, maintain and support these aircraft. The F-16 combat aircraft is designed to perform ground attack and air superiority missions. The World Famous GEICO Skytypers Air Show Team is a flight squadron of six vintage WWII aircraft performing precision flight maneuvers at select airshows across the US. The diverse flying expertise of the team members aligns perfectly with the unique components of their overall performance. Rob Holland "Ultimate Air Shows"
Rob’s rise to the top started as a young air show fan in his native New England. Earning his pilot’s license while still a teenager, Rob began flying aerobatics almost immediately, all while building valuable flight time and experience as a corporate pilot, commuter pilot, banner tower, flight instructor, ferry pilot, and operating his own aerobatic flight school. Now in his 15th year as a full-time air show pilot, Rob has distinguished himself by blazing a trail of innovation, developing maneuvers never before seen at an air shows. “One of my goals is to take aerobatics to the next level,” Rob explains. “I want to push the limits of what can be done.” But while his impact and influence on the air show community is undeniable, his remarkable skills at the controls of his MXS-RH are matched with a humble and approachable demeanor that has forged a unique connection with countless fans the world over. To Patty Wagstaff, the sky represents adventure, freedom and challenge. A six-time member of the US Aerobatic Team, Patty has won the gold, silver and bronze medals in Olympic-level international aerobatic competition and is the first woman to win the title of US National Aerobatic champion and one of the few people to win it three times. Patty grew up in and around airplanes. Moving to Japan when she was nine years old where her father was a Captain for Japan Air Lines. Her earliest memories include sitting with her father at the controls of his airplanes. At ten years old when her father let her take the controls of his DC-6, her lifelong love affair with airplanes began. Patty's skill is based on years of training and experience. She is a six-time recipient of the "First Lady of Aerobatics" Betty Skelton Award. In July 2004, Patty was inducted into the National Aviation Hall of Fame and was the recipient of the National Air and Space Museum's Award for Current Achievement in 1994. Having received many awards for her flying, she is particularly proud of receiving the air show industry's most prestigious award, the "Sword of Excellence", and the "Bill Barber Award for Showmanship". Recently she was awarded a Lifetime Achievement Award from the Air Force Association. Michael Wiskus "Lucas Oil Airshows"
Like many of the show pilots, Mike’s passion for aviation started when he was very young. Mike’s Dad took him to his first air show at their hometown in Iowa at the age of 10. That show made an everlasting impression so deep that at 14, Mike rode his bike to the airport for two weeks straight and bugged the owner for a job washing airplanes and cleaning hangars just to be around airplanes. In school, Mike had a teacher tell him he would never be a pilot. His grades weren’t great and he got into trouble. Later that year a tutor gave him the book The Little Engine that Could, by Watty Piper. It changed his attitude and it helped Mike believe in himself. He traded his work of washing airplanes for flying lessons and received his Pilot’s License on his 17th birthday. Thirty eight years later, Mike has accumulated more than 24,000 flight hours and has qualified in more than 40 aircraft. He keeps a very busy schedule flying for Corporate America as well as keeping a full time air show schedule flying the Lucas Oil stunt plane April through November. “It is incredible to be part of the Lucas Oil Team. Their products as well as their integrity make what I do even more rewarding.” It wasn’t easy getting where he is today, and as Mike would attest, he fought battles every day. Things didn’t always turn out the way he planned, but with each year he believes that one of the biggest impacts in his life and the lives around him was his attitude. With everything he has experienced as a Pilot, Businessman, Husband and Father, Mike still admits to making mistakes every day. But he doesn’t want to miss the opportunity to pass on the same gift of encouragement and attitude that had been given to him by his Parents, Grandparents, 2nd Grade Tutor and all who believe in him and the dreams he still chases. That is why Mike started the “I Can” program in conjunction with his air show. Mike’s air show career is a testimony of how dreams really can come true. As a 2002 U.S. National Aerobatic Champion, and a member of the 2004 U.S. Aerobatic Team, Mike has traveled the World with the same aircraft you will see him performing in at your air show. His excitement for aviation and willingness to share his experience with people around the country is nothing short of contagious in his attempt to help encourage kids of all ages, to not only dream, but to live their dreams and never give up! Bob Freeman "Suzuki Air Show Team"
Elias Corey welcomes Bob Freeman as one of the factory pilots for the Suzuki Competition Flight Team. He performs in a special Extra 330SC Unlimited Aerobatic Aircraft. Originally a Red Bull Air Race plane, it is a one-of-a-kind ultra-lightweight version of the Extra 330SC. 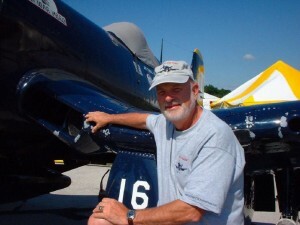 Bob has been an aerobatic competitor for more than 33 years. He is a current member of the US Unlimited Aerobatic Team and has represented the United States in three World Championships. A Top 4 finisher in world competition, he won the Silver in the 4 Minute Free, and the Bronze overall, at the US Nationals. 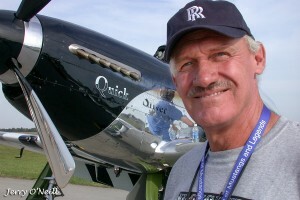 Even more impressive than his flying career, Bob Freeman is a two-time cancer survivor. He is a living example of persistence, determination and the "can do" spirit. The Suzuki Flight Team is proud to fly with Bob Freeman for the 2018 season. Bill Braack "Smoke-n-Thunder Jet Car Show"
Smoke-n-Thunder Jet Car — As the Smoke-n-Thunder Jet Car engine roars to life, pilot Bill Braack revs-up the air show crowds with tons of smoke and sonic thunder booms preparing for his high-speed performance in a race against an airplane. You’ll feel the excitement when you watch Braack pull 4-G’s accelerating during the race and experiences 11-G’s of negative force during the deceleration process! The jet car is powered by a Westinghouse J34 jet engine originally used in the North American T-2A Buckeye aircraft. The jet turbine in full afterburner produces 7,500 pounds of thrust creating over 10,000 horsepower while accelerating to speeds up to 400 miles per hour in just nine seconds before a deployed drag parachute brings the jet car to a halt. Astonished audiences watch as Braack pulls 4-G’s accelerating during the race and experiences 11-G’s of negative force during the deceleration process. Since 1985 Braack and Hammack have piloted the Jet Car in more than 4,000 exhilarating performances always maintaining a 100 percent safety record. Braack served in the Air Force Reserve as a Career Enlisted Aviator performing aircrew duties as a C-141 & C-130 Flight Engineer. He retired in 2005 after 20 years service. Braack was named as one of the Outstanding Airman of the Year for the Air Force Reserve Command and currently serves on the International Council Air Shows ethics committee. He holds FAA ratings as both a flight engineer and civilian pilot. Jim Tobul -- F4U Corsair "Korean War Hero"
Scott "Scooter" Yoak -- P-51 Mustang "Quick Silver"
The P-51D Quick Silver, also known as “The Resurrected Veteran”, celebrates our nation’s armed forces. Thoughtfully designed, each aspect of the paint feature represents and honors those who have served our country and who have made the ultimate sacrifice. Father and son team, Bill and Scott “Scooter” Yoak of West Virginia, spent 13 years meticulously working to make the P-51D Mustang a reality. The Quick Silver Mustang is made from parts of Mustangs that were used in every war theater the Mustang was utilized. In 2013 Jim "Torc" Tobul and Scott "Scooter" Yoak talked about forming up a classic fighter formation team and NOW you have the "CLASS OF 45". The “Class of ‘45’s” origins are really quite simple. While watching practice at the Wings Over North Georgia air show in October of 2013, pilots Jim Tobul and Scott Yoak were discussing the USAF’s Heritage and U S Navy’s Legacy flights. Both Jim Tobul and Scott Yoak are very well respected in their mounts and in their families’ histories. Both come from great families in the warbird community. Joe Tobul and Bill Yoak made huge marks in the warbird movement, and their passion continues today with their sons’ commitment to their legacy. Sadly both Joe and Bill are no longer with us. They left behind with their families the passion and desire to showcase two of the greatest fighters ever were made to defend our nation.The Class of ‘45’s mission is to preserve and honor the service of American military men and women, both then and now. In flying these legendary machines, we remember their service, their contributions, and our obligation to never let their sacrifices be in vain. As the thunder of their engines fades into the distance, remember that freedom is not free and liberty is everyone’s responsibility to preserve. Thank you for your interest, and God Bless America. Joseph Masessa MD is a 4000+ hour multi-engine ATP – Airline Transport Pilot Multi-Engine Instrument Rated. He holds ratings in the Citation 500, 550 and 560 series jets, along with the Grumman Mohawk OV-1. strike capabilities and was intended to operate from short, unimproved runways in support of United States Army maneuver forces. The OV-1 served in the U.S. Army in Vietnam and during Operation Desert Storm. Starting in 1972, the Army National Guard began to receive the Mohawk, eventually operating 13 OV-1Bs, 24 OV-1Cs, and 16 OV-1Ds serving with three aviation units in Georgia and Oregon. Sky Soldiers "Huey & Cobra Demo Team"
Remember “Boogie Woogie Bugle Boy,” “Shoo Shoo Baby” and “Don’t Sit Under the Apple Tree”? Those songs along with Alexander’s “Ragtime Band”, “Beat Me Daddy”, “Bei Mir Bist du Schoen”, “Oh, Johnny, Oh!”, and “Lullaby of Broadway” are just a few of the songs in our musical repertoire. They are sure to bring back old memories for a few and establish new ones for all. *JLC's Signature "Veteran's Parade of Honor"
Join us during the Veteran Parade of Honor showing respect to those that Served America! We at JLC believes it's crucially important that Americans remember our Service Veterans in terms of service, sacrifice, dedication, duty and commitment — plus the thousands who have given their lives so all “freedom-loving Americans” can rest. When the National Anthem is played no matter what the venue, Americans should face the flag, right hand over heart and then, honoring all veterans. Anything less is breaking faith with those who have passed and those who currently serve. *We at JLC AirShow Management believes all American's should honor the National Anthem, the American Flag and ultimately our American Service Veterans with proper respect. To each and every VETERAN who has worn the uniform, served our nation, signed the “blank check” and answered the calling to “Stand On The Wall” for us -- We Thank You and ask each of you to join us as we March Together As One! Air Show Attendees -- Join us by standing tall, applauding while wiping your tears during the special Veteran Parade of Honor portion of the show. We together will show our respect to those that "Gave Some while Some Gave All...SALUTE!"